This Tuesday will see the release of Trivial Pursuit on 360 and many other consoles: I'm quite interested to see how well this turns out myself. On the same day SBK: Superbike World Championship. Wednesday sees NCAA 09 March Madness Edition DLC for the upcoming tourney. 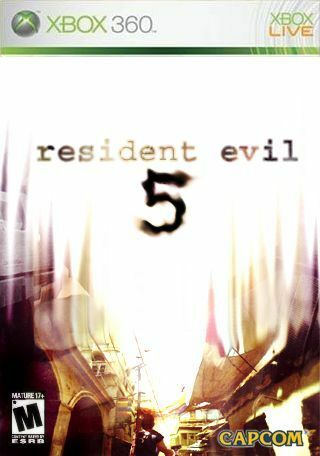 And Friday will have the long awaited, much anticipated release of Resident Evil 5. Thank god Spring Break is up next week, time to kill some zombies. Peggle is the tremendously addictive ball-bouncing game for the PC, ported to Xbox Live Arcade with 55 levels, 75 challenges, and multiplayer support via Xbox Live for 2-4 players. I am terrified to purchase it, since the last time I launched Peggle on Steam I disappeared for several days. Fan voting took place through December to determine who would sit on the cover of the newest version of EA's Fight Night series. The option receiving the most votes was to have both athletes don the front. The addition of Mike Tyson to Fight Night Round 4 fills a hole in videogame rosters that has existed for almost a decade. Users will finally be able to fight as ‘Iron Mike', or fight against him as one of many other all time greats. Time will only tell if EA can improve on the excellence that was Fight Night Round 3. More of the same will likely see this go down as a rent only in most people's minds. Microsoft continues its Deal of the Week program by offering up the Premium Challenge Pack for Project Gotham Racing 4 this time 'round. The pack, which normally runs at 400 MSP, can be had at a measly 240 MSP this week and includes ten additional achievements.